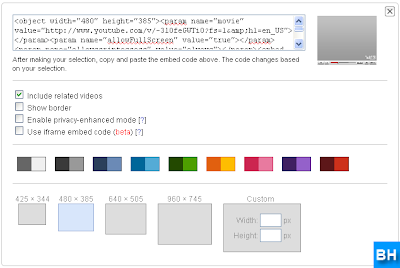 Bloggers hangout presents a simple way to embed Youtube video to blogger blog. 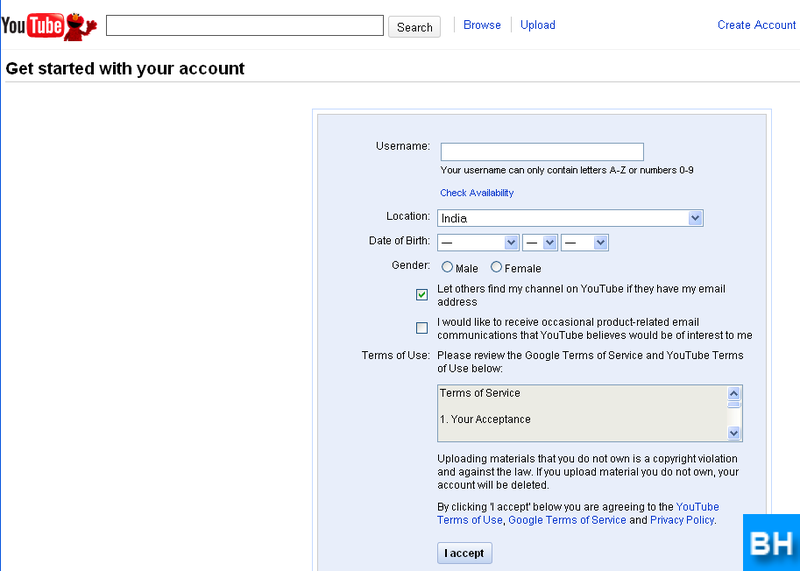 Step 1: Create an account in Youtube by clicking this link YouTube. and then click I accept. That's it, you successfully created an YouTube account. 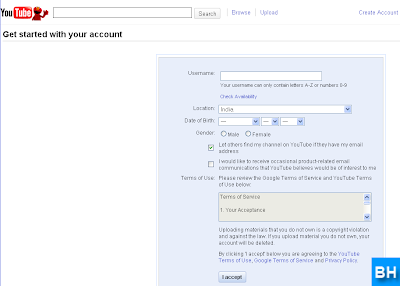 Step 2: Sign In to your Youtube account and upload original videos. After uploading each video you will get an embed link. Step 3: Copy the embed link and paste it in your blog. And you can change the look and feel of the player as shown above. Step 3: Copy embed link and then paste it in your blog post as shown above. That's it! You successfully embedded YouTube video to blog. Read: How to Generate Youtube Thumbnails? If you have any doubt in "How to Embed Video to Blog", please don't hesitate to comment.